If you were the best high school baseball player in the country and had good grades, being recruited to play college baseball would be easy and inexpensive. Why? You would already have everything that college coaches are looking for. Since you would have the academic and athletic skills that programs want, it would just be a matter of connecting with the coaches at the schools that fit what you are looking for in a college baseball experience. If you are wondering how this situation applies to the real-life version of you, there’s a really valuable lesson to learn from this ideal example. Development, and not exposure, is the key to being recruited, because developed skills are necessary to create exposure that will lead to interest from college coaches. Let’s explore this idea in more detail and look at why so many college baseball hopefuls are falsely led to believe exposure is the key to being recruited to play baseball in college. 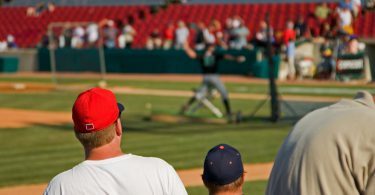 Some for-profit youth baseball companies whose showcases and tournaments have become popular recruiting events want everyone to believe the myth that more exposure automatically means more opportunities to be recruited. 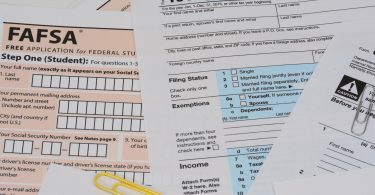 The term “Exposure” is used as a marketing catch-phrase falsely synonymous with being recruited. If recruits and parents are lead to believe that exposure alone will lead to recruitment, they will continue to spend increasing amounts of money to attend “exposure” events. 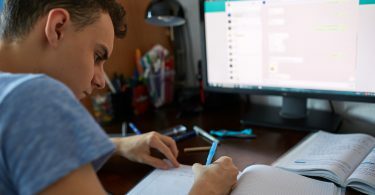 This false equation of exposure and recruitment spells big profits for companies looking to make money, and costly mistakes for recruits and families. The problem with the “exposure equals recruitment” logic is that exposure alone is not necessarily a good thing. The use of exposure in a non-baseball scenario will paint a useful picture. Imagine a fun family outing to the snow, where everyone has appropriate clothing and supplies. Now compare that to an unprepared family caught in a blizzard and exposed to the harsh elements. Quite the contrast. Like the snow scenario, a developed prospect with requisite skills and physicality and a prospect who doesn’t have the requisite skills and physicality seeking the same type of exposure will produce two very different results. It’s clear to see which type of prospect you want to be and why development is a precursor to meaningful exposure. Prospects who are unprepared or do not possess the skills, tools, or physical traits that college coaches want are likely to get crossed off recruiting lists, possibly for good. So the lessons here are twofold. 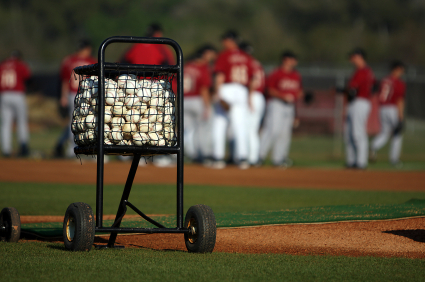 First, you don’t need to spend money to get recruited to play college baseball. 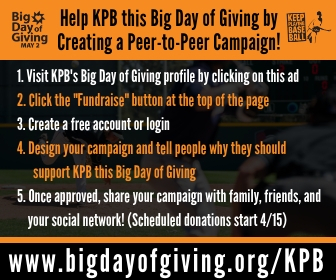 KPB’s resources have helped players with tight budgets successfully navigate the recruiting process, so you won’t have to do it alone. Second, if you have financial resources to invest, you should invest in your development, because having developed skills leads to easier, cheaper, and more effective exposure and direct communication with college coaches. Put your time and effort into development and it will not only give you the best chance at making it to the next level, but also save you from wasting money on premature exposure. So how do you start your development plan? The good news is, with the amount of free baseball resources out there, the development of your skills depends more on your motivation and putting together a good plan than how much money you have in your wallet. 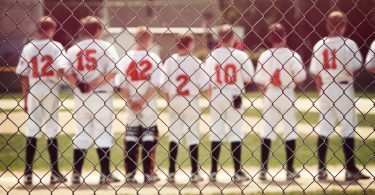 Your development plan should target improvement in many areas, including but not limited to baseball/position specific skills, strength and conditioning, academics, and the mental game. We suggest starting right here on the KPB website. 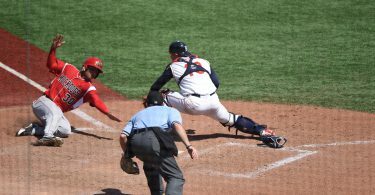 Explore our articles on the different levels of college baseball and what it takes to make a college roster at your position. Familiarize yourself with the standards that you need to meet for the level you desire to play. What are the tools, expectations, physical size, baseball awareness that you need to display for coaches? Figure it out and create a plan that will help you cultivate those skills. Check out lessons about what college coaches are looking for and suggestions from guys who have successfully made it through the recruiting process before. Learn from those who have been where you want to go. See if you can think the game on a college level with our mental game preparation. Make it a goal to visit the KPB site and stay up to date with new content, which is released at times when it is most relevant to the recruiting process. 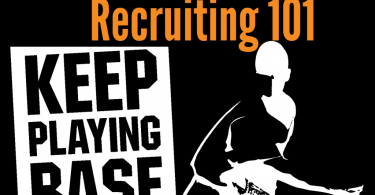 All the information is free and geared towards helping you get recruited. Then start to expand your search for information. Ryan Faer, who works in development and rehabilitation with the Cleveland Indians organization, provides great free information on his blog. Eric Cressey is another leader in player strength and conditioning and wellness. His blog is another great resource. The same is true of Driveline Baseball, who provide tons of free training advice through their blog, website, and social media. Engage with people on social media. Follow the #FridayFielders on Twitter for defensive drill suggestions. Follow or participate in the #ABCAchat every other week, where college coaches talk about development and provide a wealth of free information you can implement to get better. Lastly, if there is an event or camp you think can help you, ask if they offer scholarships to cover registration fees or if you can do work for them to help reduces costs. It never hurts to ask. As you can see, your development as a player doesn’t have to be expensive. The information is out there. You may have to find ways to creatively implement ideas, but that is part of the fun. If you need more suggestions, send us an email or message us on Twitter. We are always there to help.